When you want maintenance free living, our villas are the affordable solution. 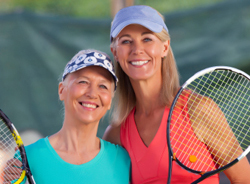 Whether you are looking for a permanent home or a seasonal retirement home, we have an active adult community where you will feel right at home. Vienna Square provides a secure and fun-filled community to give you peace of mind. We strive to offer the best features and amenities so you can enjoy your lifestyle with minimal work possible. We have an on-site clubhouse with 7,000 square feet of fun! It houses a movie theater, tennis court, a swimming pool, a ballroom and more. We also have a schedule of fun events planned all year long to participate in. It is a place to make new friends or get reacquainted with old friends and visiting guests. 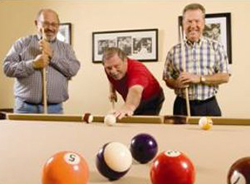 We make living in Florida retirement communitiesaffordable and fun. 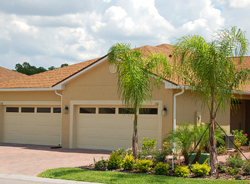 Located in Winter Haven, Florida we offer you convenience and full active lifestyle living. You can enjoy day trips to the beach on either coast or visit Orlando and Tampa for a day at Disney World or Busch Gardens. You can also enjoy the sites and sounds of the local area such as dining and shopping. We offer you the independence of traveling and living at your own pace. We also offer you the ability to own your own home or one of our villas. Our Continuing Care Campus and Secure Care Pledge give you the comfort of knowing you will be taken care of when you need us most. We provide Assisted Living, Skilled Nursing and Short-Term Health and Rehabilitation is all a part of the most comprehensive retirement community. We will provide an unprecedented range of services to our residents so your worries are minimized. 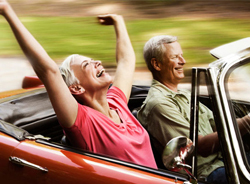 Many Florida retirement communities give you the opportunity to enjoy the events and amenities of their communities but with limitations or restrictions on traveling or without the home ownership benefit. Also many other communities do not offer single-family homes and maintenance-free villas with great features. Instead, they might offer manufactured homes or apartment living. Our homes and villas include basic cable television, monitored home security systems and a security gate into our community for your safety and peace of mind. We want you to feel at home in Vienna Square. We would love for you to come visit us on our Great Escape program. Check us out on the Internet or at or call us at 877-791-9907 today to learn more about Vienna Square and what it has to offer you. Stop looking for maintenance-free villas in anywhere but Vienna Square. You are finally home.